Nowadays breast surgeries are common and often undertaken by clients due to several reasons. There are several types of breast surgeries, such as breast augmentation, breast reduction or breast lift surgery. These surgeries vary in many aspects. However, the common thing among them is scaring. Scaring is necessary as the surgeries require incisions and thus new skin cells must be produced so that the tissues and skin heal properly. Scars are natural means of healing once there is an incision. 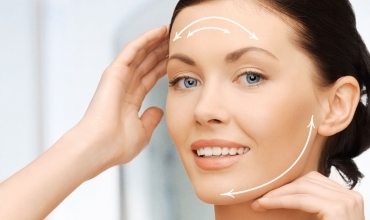 The process of scaring is quite complex and more than anywhere else it is highly desirable to get it done in the best possible way regarding cosmetic and aesthetic surgery. This aim is crucial for everybody who is involved in the surgery, from medical staff to the clients. This is a quotation which tells everything. Scaring can be massively influenced by proper surgery technique and subsequent aftercare. Definitely there are some elements that can not be modified or affected, such as type of skin, client’s healing ability, age, etc. On the other hand there is a lot that can be done. As mentioned above, scars represent natural healing process of healing after skin disruption. The scope and size of the scar is determined by the type of surgery. When it comes to breast surgeries, modern surgery techniques ensure minimal scope of incisions. Thus scaring tissue developed is of small size too. Professional approach of the surgeon is absolutely necessary and then it is us who will do the next part, the aftercare. All of these factors done by us will make breast scar healing perfect. Nutrition and balanced diet is very important so that the body is able to produce metabolic substances as a part of healing process of incisions and wounds. Food rich in amino acids, protein and vitamins is the best way how to make the healing faster and proper. This nutrition intake makes sure there is no lack of skin building components. Being generally fit and doing regular exercise play important role too. Doing exercise straight after the procedure is not accepted of course, but it is a good idea when client keeps fit and regular exercise helps body do well after the surgery. Smoking and drinking larger doses of alcohol is definitely banned as cigarette smoke decreases the healing ability and alcohol is an extra burden for metabolic processes. There are plenty of supplements that are likely to be used after breast surgery. Most common are creams with medical-grade silicone, ointments and jellies that make healing smoother and ensure nourishment for skin cells. These supplements are applied locally on the wounds and scars on daily basis. Wounds and scars must be kept clean and sterile. Clients can use various antibacterial substances to do so. Cleaning is followed by applying supportive supplements and then covered by sterile gauze pads. Last but not least, compression garment is absolutely crucial to be worn. It helps the breast implants, breasts and surrounding tissues keep together and in the right position and decreases the pressure and tension imposed on the incisions and scars. Thus compression garment makes healing better and minimizes visible scars after the breast surgery. Breast surgery is one of the most common surgeries and it has been improved over the time in a great deal. Forming scar tissues is therefore now possible to treat very well and with excellent results once the guidelines and advice are followed by the client.